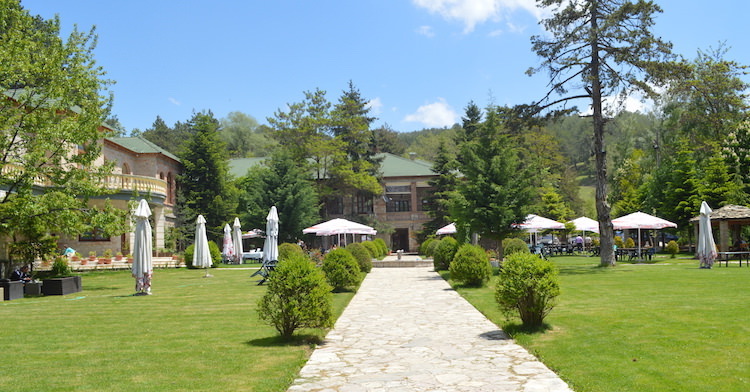 Hotel Akademia, the former pioneer camp was built in the 1950s. It lies about 1000m away in the northwestern part of the village of Voskopoja. Among the permanent green and clean air, this camp has hosted thousands of children from all over Albania. After the restoration in the years 2000-2004 Hotel Akademia offers 16 hotel rooms with 13 villas, a restaurant where you can enjoy Korca’s traditional cuisine and the amazing beauty of nature. Among other things, do not forget to visit the village with the 24 ancient churches where the history of civilization and the development of the Voskopoja is displayed. Just 400 meters from the hotel is the Shen Prodhrom Monastery, the oldest existing building of the village, built in 1932. Hotel Akademia offers free internet service for all its costumers. All hotel rooms and villas are covered with wi-fi internet. Enjoy traditional cuisine combined with modern cuisine. We assure you that you will be satisfied. Hotel Akademia gives you the opportunity to park your car at no extra cost.